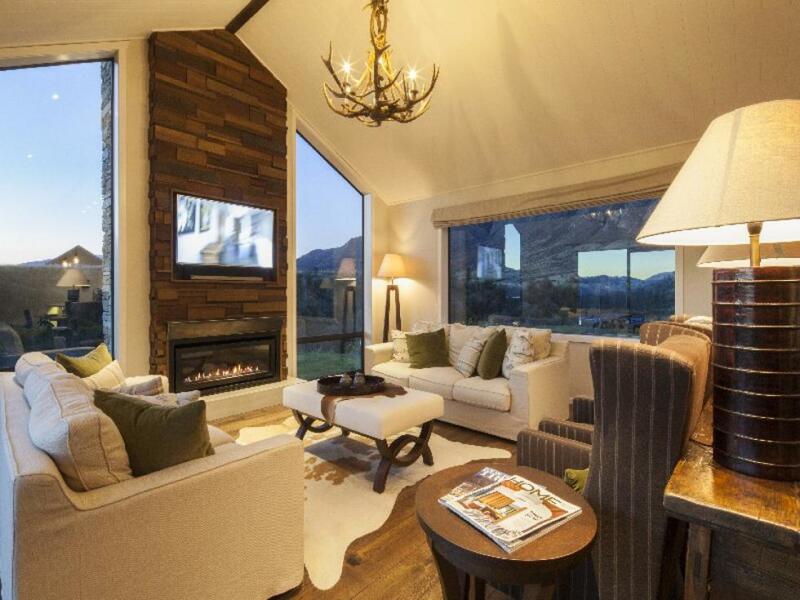 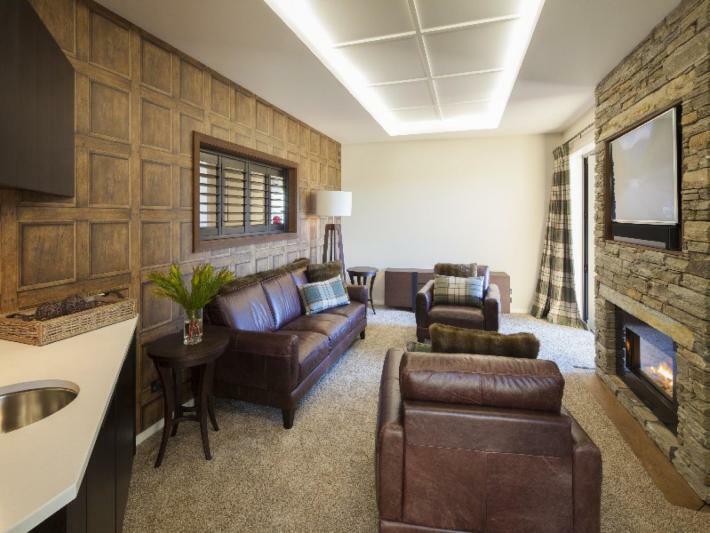 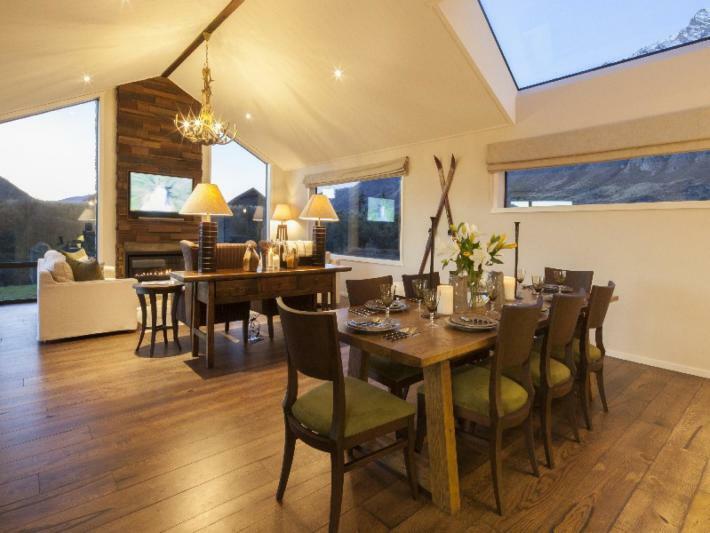 This tastefully decorated lodge-style property is the perfect place to relax with your family or a group of friends. 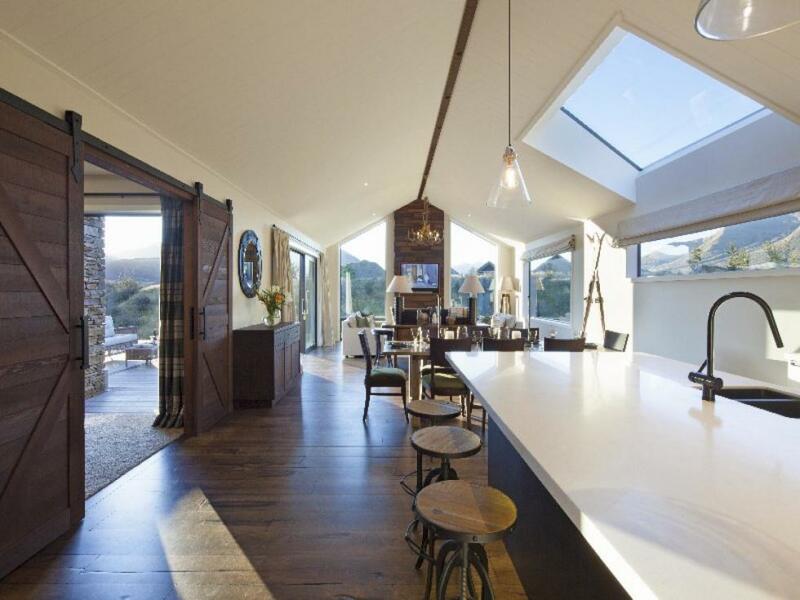 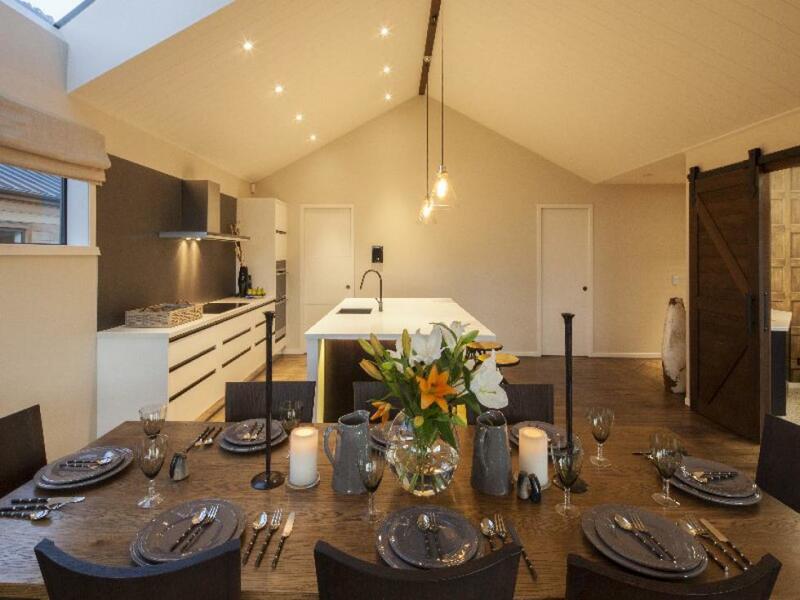 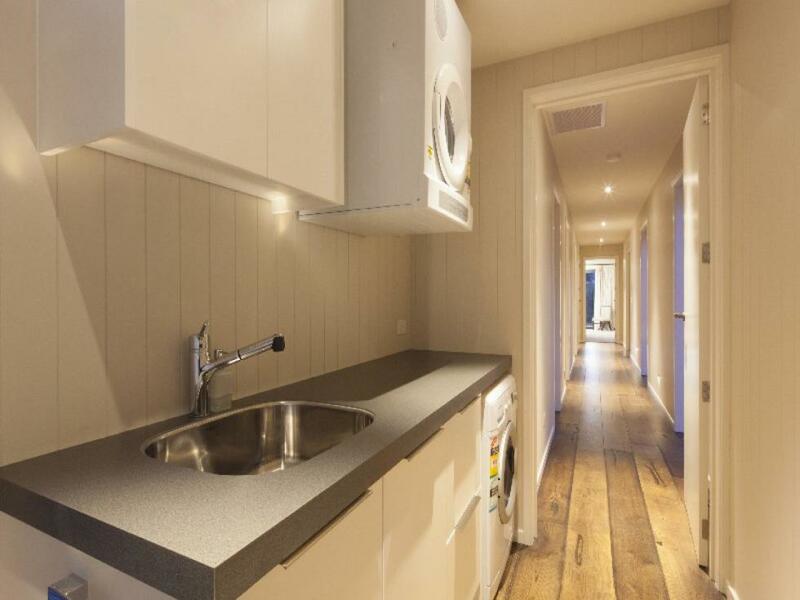 It features a large open plan living, dining and kitchen area. 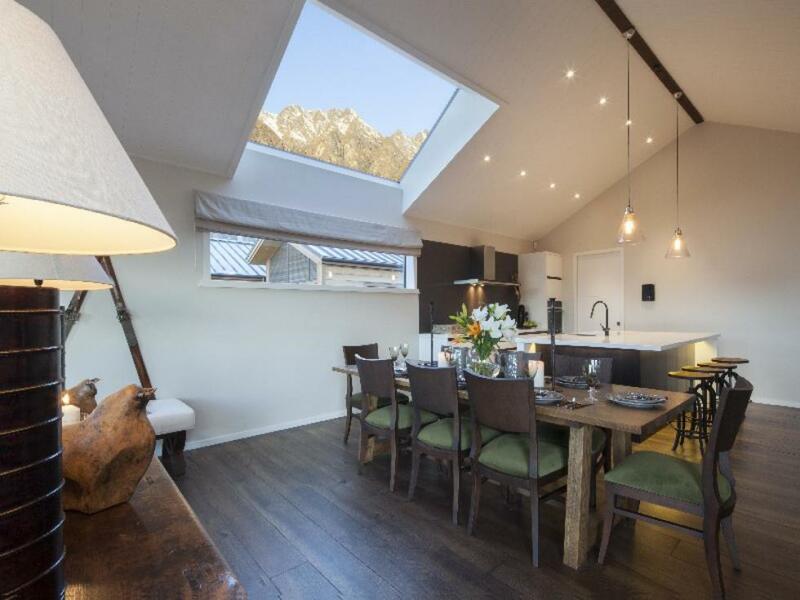 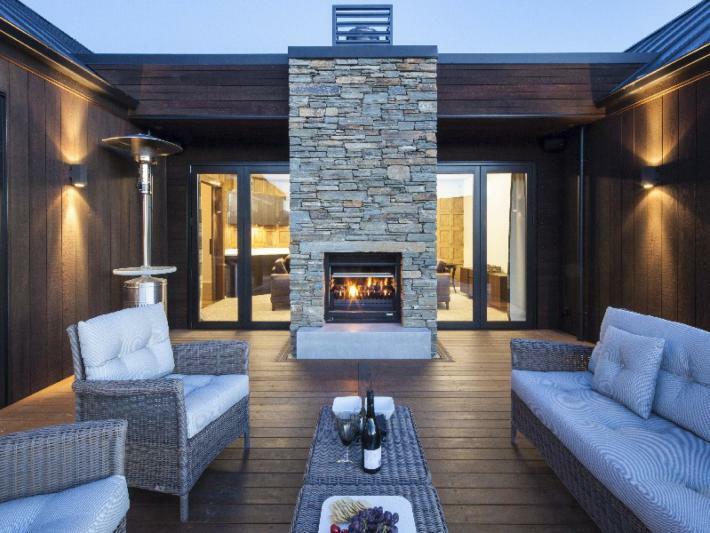 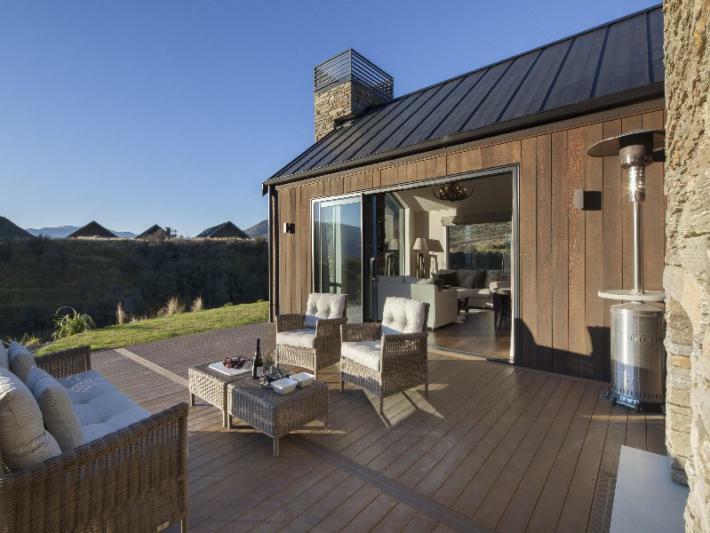 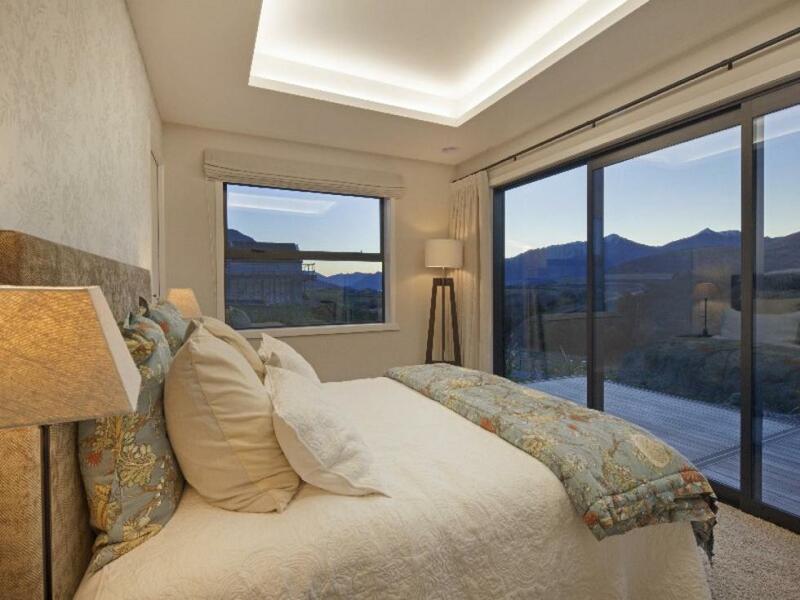 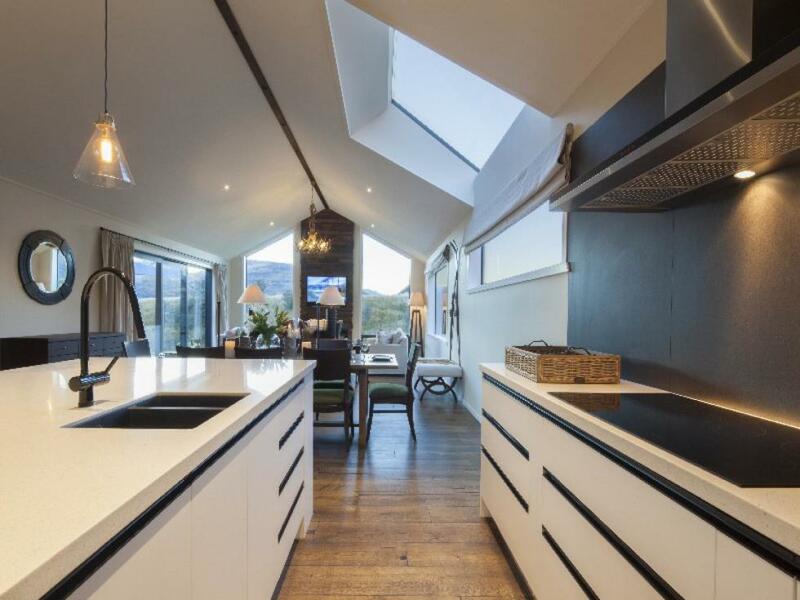 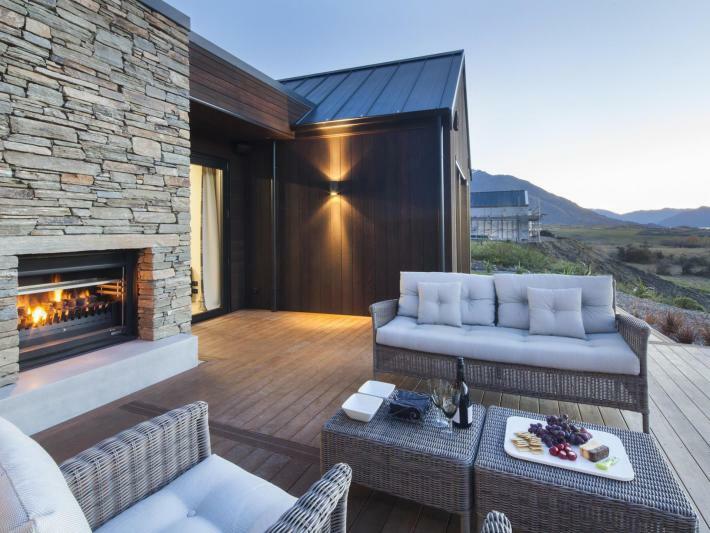 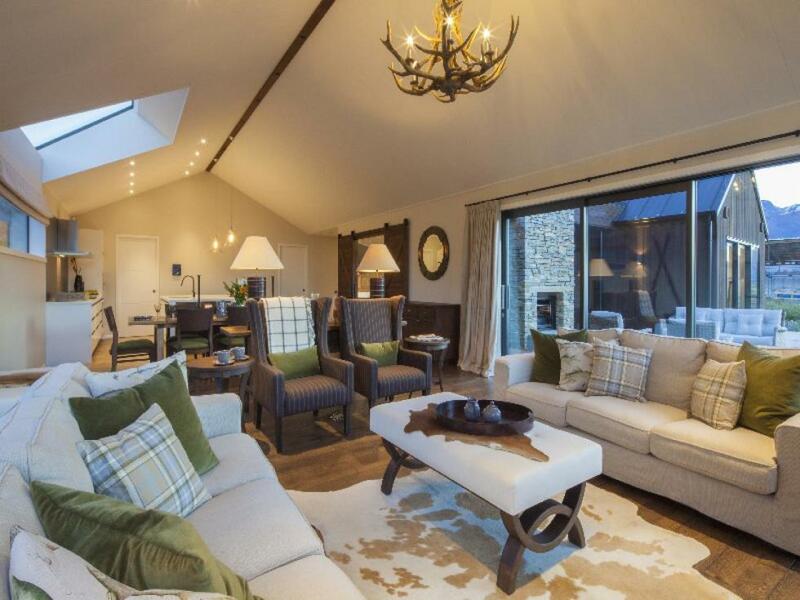 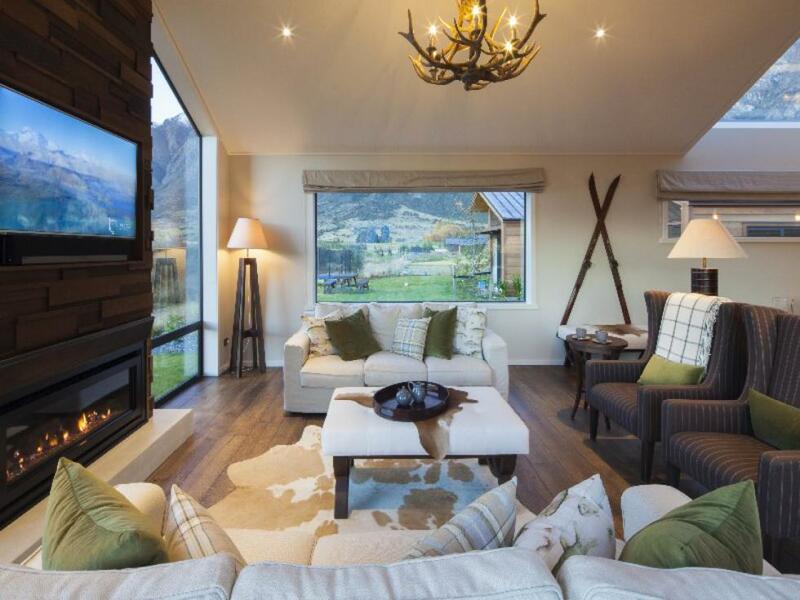 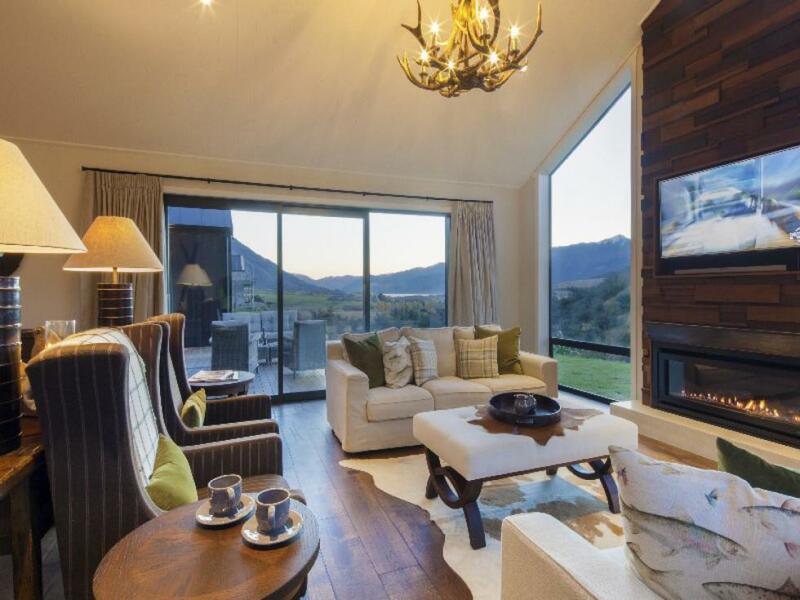 Complete with large bay windows and skylight, it's the ideal place to sit back and enjoy the majestic 360 degree alpine views. 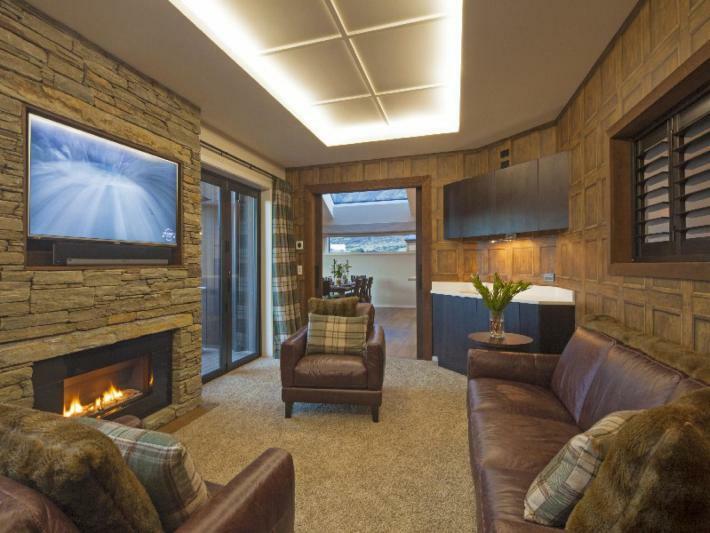 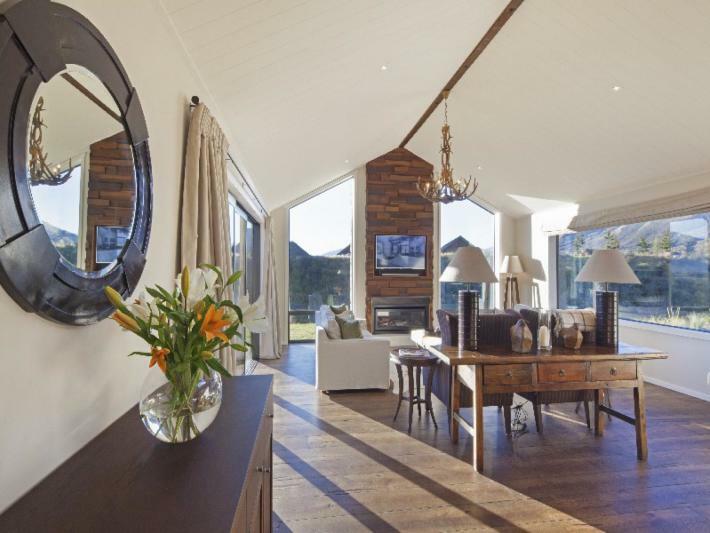 Positioned to the side of the living area is a den, with bar, fridge, LCD TV and patio doors which open out to the outdoor space, allowing for a separate space for entertaining. 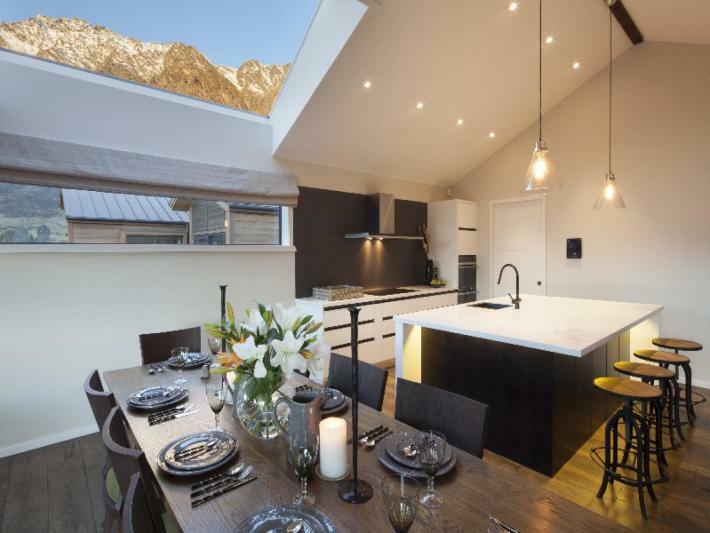 The kitchen also features a secondary chef's kitchen with industrial sized sink and power tap - perfect to assist with entertaining large groups. 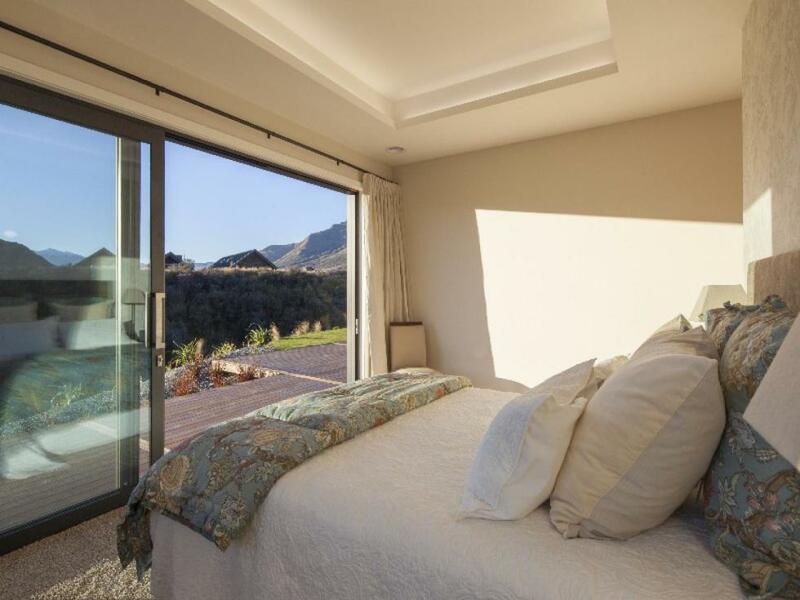 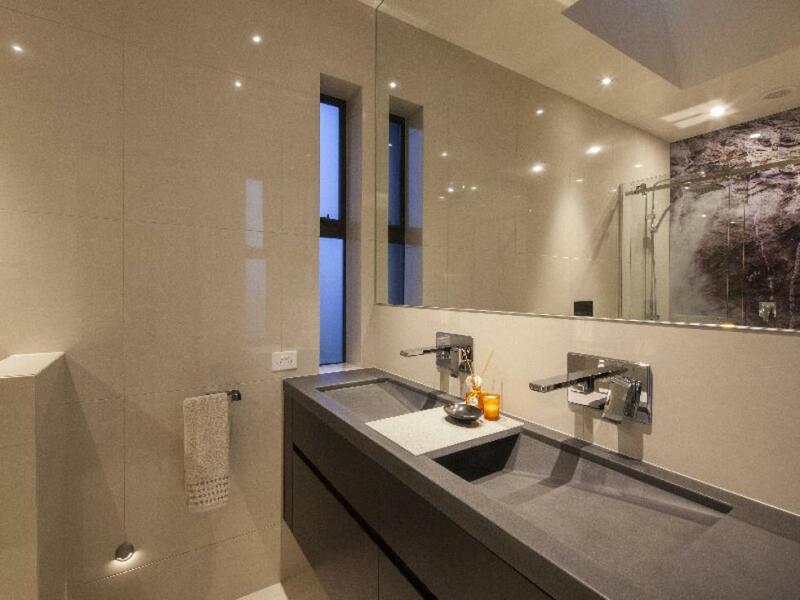 The master bedroom comes with a large walk in wardrobe and modern bathroom with double shower and sink. Bay windows open out to your own deck area set amongst the breath-taking backdrop. Jacks Point Escape also features a separate, self-contained unit with two bedrooms, bathroom and living/kitchen area above a large two car garage. 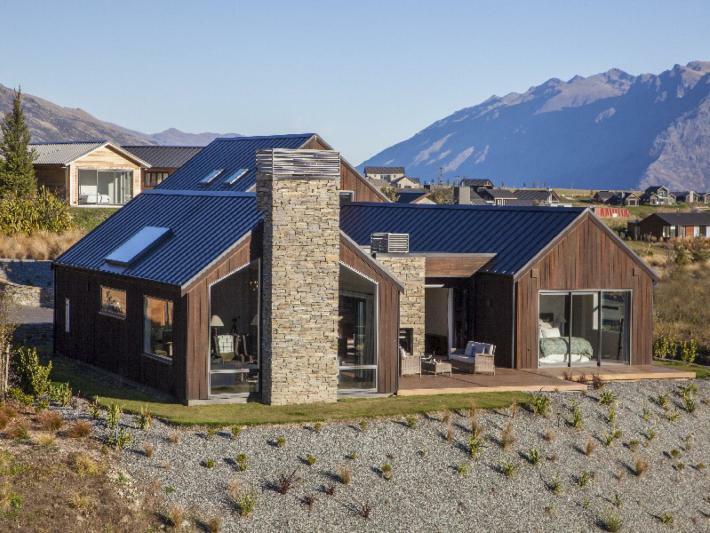 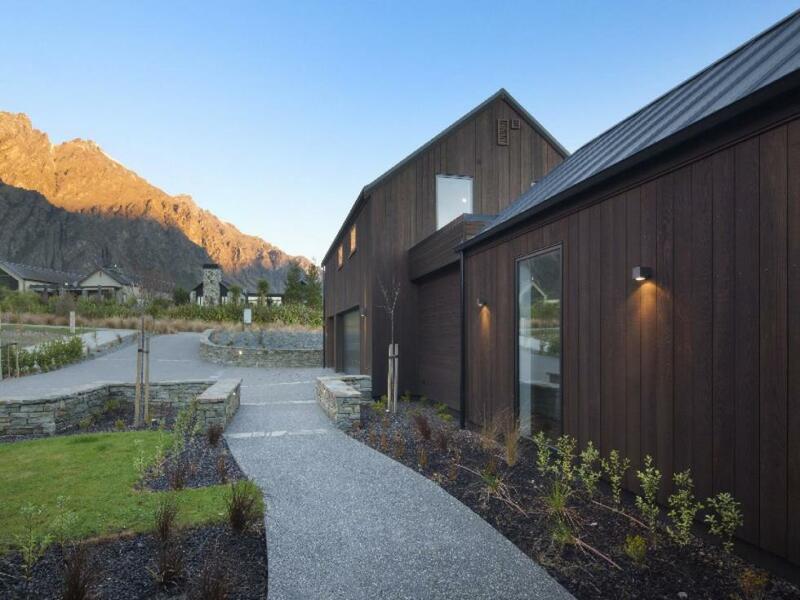 The property benefits from being conveniently located nearby Lake Tewa, where you can try your hand at fly-fishing, or if that seems like too much hard work you're only a short walking distance to Jack's Point Restaurant.